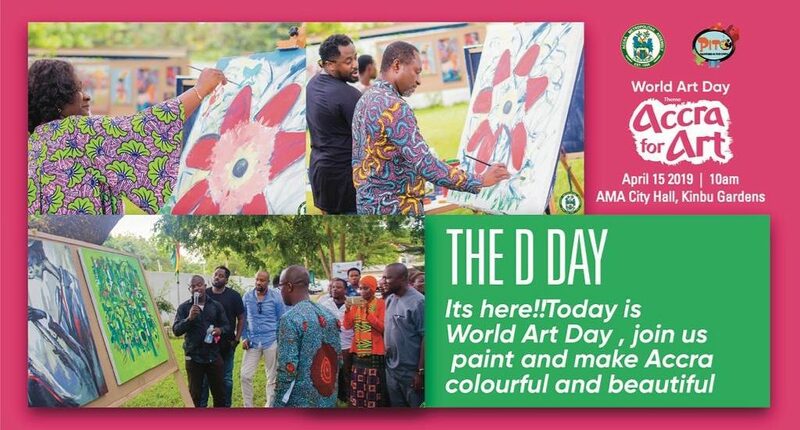 On Monday 15th April 2019, Ghana Association of Visual Artists (GAVA) will partner Accra Meropolitan Assembly (AMA) and PITO (an artistic organization based in Accra) to another live painting session to mark ‘World Art Day’, at the forecourt of the AMA City Hall at Kinbu-Accra. The celebration of the event commenced in 2012 through the instrumentation of International Association of Art ( IAA) which put forward a proposal for consideration at its 17th General Assembly in Guadalajara, to promote awareness of creative activity worldwide. World Art Day which falls on April 15, was a decision taken in honour of Leonardo da Vinci who symbolised world peace, freedom of expression, tolerance, brotherhood and multiculturalism as well as the importance of art to other fields. This year’s celebration marks the 7th edition of the International Association (IAA) and the 4th for Ghana. Ghana Association of Visual Artists became a member of IAA in 2015. This year’s celebration was preceded by a clean-up exercise by members of GAVA Greater Accra in collaboration with Accra Metropolitan Assembly (AMA) at the Centre for National Culture – Accra, to mark the event. Similar activities shall be organized by GAVA Regional branches across the country. 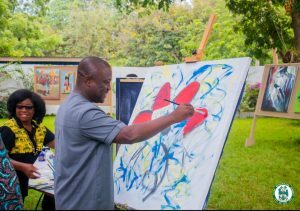 The celebration also hosted a live painting session by various mayors in Greater Accra including Mayor of Accra, Hon. Mohammed Adjei Sowah and his colleagues in the open on canvas and street murals in Accra.